There’s a new color in the world of smoothies and it is my favorite one! 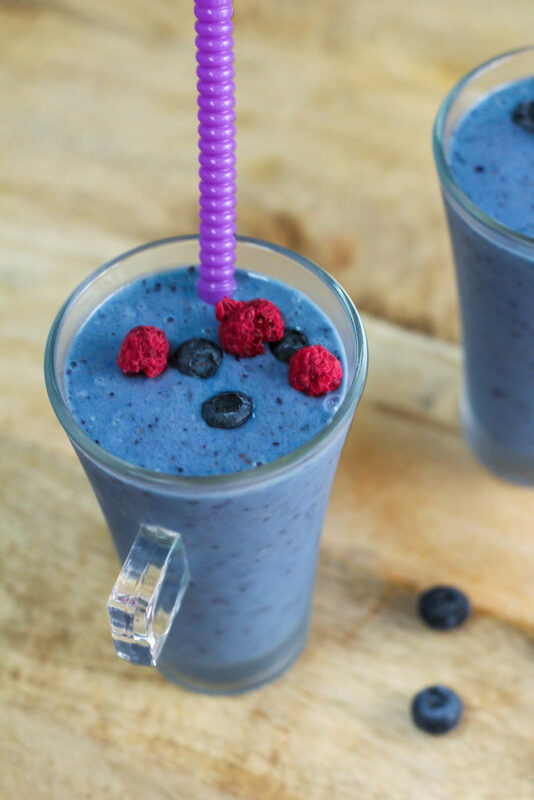 What are your thoughts on a Blue Smoothie? Yay or nay? I am personally a huge fan of blue so it is definitely a yay for me. The color comes from blue spirulina, a nutrient dense aqua botanical that is rich in protein, vitamins, minerals and antioxidants. Besides the high nutritional content, it is known to boost the immune system and increases energy too. Powerful algae I have to say! Yogurt – Rich in calcium, vitamin B-2, vitamin B-12, potassium, and magnesium. Probiotics in yogurt also help to boost the immune system and promote a healthy digestive tract. Bananas – They are loaded with essential vitamins and minerals such as potassium, calcium, magnesium, iron, folate, niacin, riboflavin, and B6. Bananas also keep you full for a longer period of time. 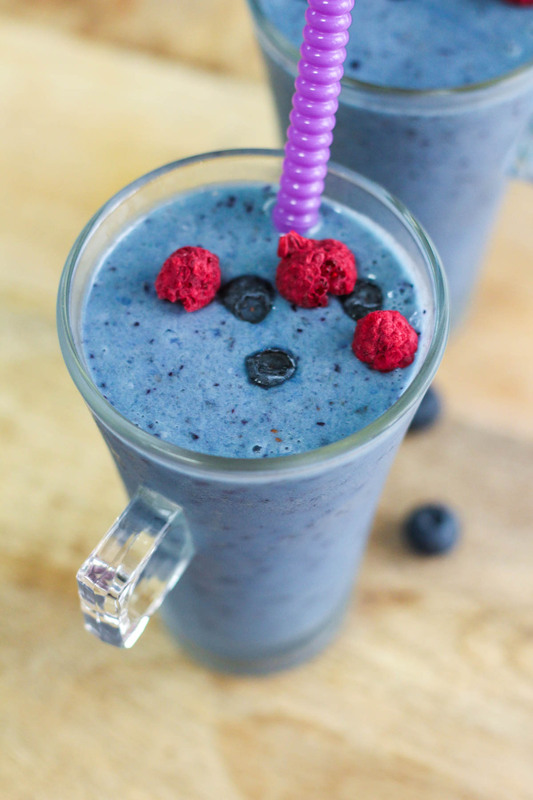 Blue spirulina – A great source of protein and an excellent source of vitamins. Blueberries – Low in Calories, but blueberries are among the most nutrient-dense berries. Strawberries – Strawberries are an excellent source of vitamins C and K as well as providing a good dose of fiber, folic acid and potassium. They also contain significant amounts of phytonutrients and flavonoids which makes strawberries bright red. There’s a whole lot of goodness in just 1 serving of this people! 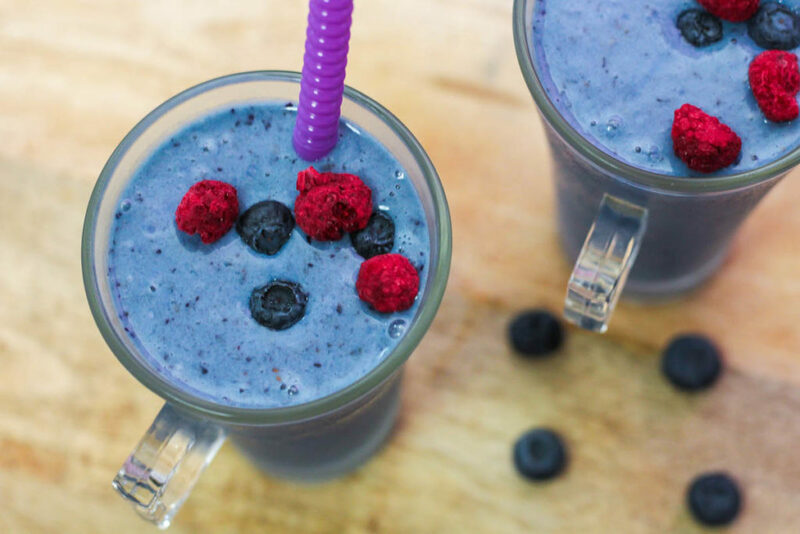 This blue smoothie recipe starts with frozen fruits. I love making smoothies using frozen fruits as the smoothies get really thick and yummy, just like an ice cream! Furthermore, frozen fruits can easily be stored in the freezer for a long time, so you can blend up some smoothies whenever you need one. Actually, I think I need one right NOW. In a blender, add all of the above ingredients and blend till smooth.